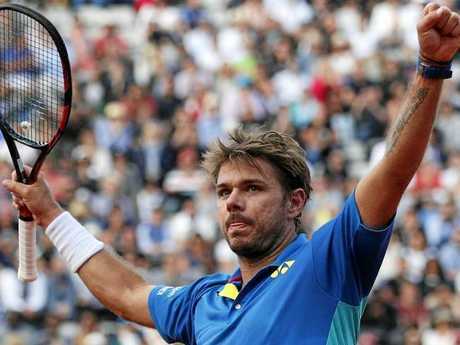 THE cream has risen to the top at Roland Garros after Rafael Nadal, Dominic Thiem, Stan Wawrinka and world No 1 Andy Murray swept into the French Open semi-finals. Thiem will clash title favourite Nadal after destroying defending champion Novak Djokovic, while 2015 champion Wawrinka will square off with last year's runner-up Murray on the other side of the draw. 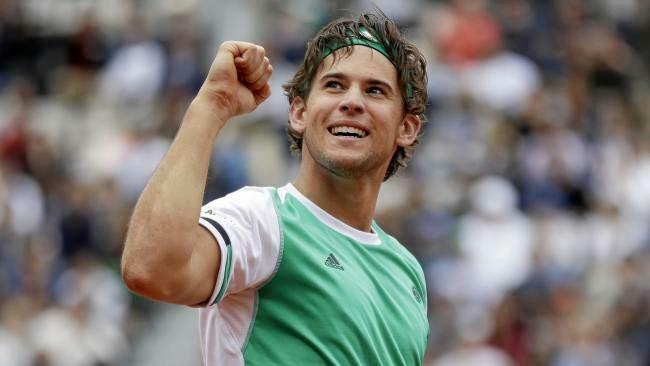 The only player to topple Nadal on clay this season, Thiem thundered into the last four with an extraordinary 7-6 (7-5) 6-3 6-0 triumph over world No 2 Djokovic. Nadal advanced 6-2 2-0 when Spanish compatriot Pablo Carreno Busta retired with an abdominal strain. Wawrinka earned a crack at Murray with a 6-3 6-3 6-1 demolition of Marin Cilic - and, like Nadal and Thiem, is yet to drop a set for the championship. At 32 years and 75 days, the Swiss is the oldest man to reach the last four here since Jimmy Connors in 1985. Murray clicked into top gear after a code violation for slow play to beat Kei Nishikori 2-6 6-1 7-6 (7-0) 6-1. Renowned for his extreme work ethic on the practice court, 23-year-old Thiem posted his first victory over top-10 opposition at a major - and his first from six tilts at Djokovic. The 135-minute demolition catapulted the baseliner into elite company. Since 2011, the only players Djokovic has lost to in Paris are Roger Federer, Nadal and Wawrinka. Djokovic had not conceded a set 6-0 at a grand slam since the 2005 US Open when he recovered to beat Gael Monfils in five. Ranked No 7 in the world, Thiem will relish his chance against Nadal despite losing the Barcelona and Madrid finals to the Spaniard. "It's amazing how difficult it is to go deep in a grand slam because you have to play the best guys round after round and it's not getting easier on Friday," Thiem said, referring to Nadal. 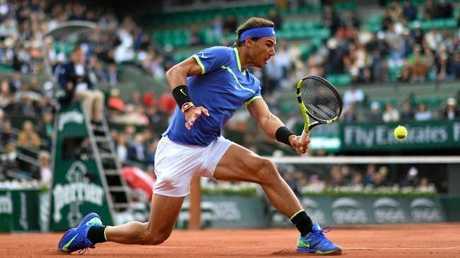 Nadal's relentless push for a 10th Musketeers' Cup continued at lightning speed after he reached a record 10th Roland Garros semi-final as Pablo Carreno Busta succumbed to injury. Posting his 100th best of five set claycourt win from 102 outings, Nadal spent only 51 minutes on court before his good friend Carreno Busta retired when trailing 2-6 0-2. Chasing a 15th major overall, Nadal has conceded 22 games this tournament in reaching the semi-finals - the fewest in glorious French Open career and bettering the 25 he lost in 2006. Putting Nadal's baseline quality into context was the fact the only two games Carreno Busta for the match came with unlikely Nadal service lapses. Nadal's only defeats at Roland Garros since debuting here in 2005 came in the fourth round in 2009 against Swede Robin Soderling and in the 2015 quarter-finals against Djokovic. The Mallorcan was in superb form last year before a wrist injury forced him to abandon the tournament after the third round. Into his 25th major semi-final, Nadal is the only the fifth man in history to reach 10 semis at a single grand slam event. Federer (13 Australians, 11 Wimbledons and 10 US), Jimmy Connors (14 US and 11 Wimbledons), Andre Agassi (10 US Opens) and Djokovic (10 US Opens) are the others. Yet to drop a set this year, Nadal will seek revenge against Thiem on Friday after losing to him in the Rome quarters. Nadal rolled through the first set in 32 minutes, chiding himself for two service lapses while monstering Carreno Busta. Obviously troubled by injury, Carreno Busta simply wasn't able to generate sufficient power off the ground to trouble Nadal. The underdog called for a trainer at the end of the first set and left the court for treatment as Nadal tried to keep warm in brisk conditions on his courtside chair. Carreno Busta eventually returned to the arena, sporting a bandage just above his left hip but he last just two more games after resuming. Djokovic and Thiem were locked in a punishing battle of defence from the outset before Djokovic ground out a 4-2 lead. Thiem fought back immediately as Djokovic double-faulted twice and, after a tense tiebreak, Thiem controlled Djokovic as few players have. With defeat, Djokovic has surrendered the last of the four majors he held at the end of last year's French Open. Wawrinka was elated after blunting Cilic. "It was the perfect match, I am really happened with what happened today," he said. "I was moving well, I played well, created opportunities ... I'm really happy." Murray took time to find range, but once the Scot settled, he mercilessly controlled disappointing Nishikori. I needed to start putting more pace on my shots, he was dictating all the points in the first set," Murray said. "It was windy, so the timing was difficult, but once I was able to get into a rhythm and keep him away from the baseline, that made the difference." Who will be celebrating after French Open semi-final?